Garmin International Inc., a unit of Garmin Ltd. (NASDAQ: GRMN), announced the Garmin ECHOMAPTM Plus series, its next generation of chartplotters and sonar combination units with industry-leading features for both saltwater and inland anglers and boaters. Building on the success of its predecessor series, ECHOMAP CHIRP, the new ECHOMAP Plus features powerful sonar capabilities, preloaded charts and mapping, and built-in WiFi® for access to the new Garmin ActiveCaptainTM marine app for the ultimate connected boating experience. Available in a range of display sizes to accommodate nearly every boat and budget, the Plus series features a bright, sunlight-readable 4-, 6-, 7- or 9-inch display. The 6-inch units are new to the Garmin ECHOMAP series and are larger with more pixels and easier to read than previous 5-inch models. The ECHOMAP Plus series also offers the convenience of a new keyed-assist touchscreen on the 7- and 9-inch units, which gives users quick access to the features they use most. Staying connected on and off the water is easier than before with the ECHOMAP Plus series. Thanks to its built-in Wi-Fi1, anglers can take advantage of the free all-in-one Garmin ActiveCaptain mobile app that creates a simple yet powerful connection between a compatible mobile device and an ECHOMAP Plus. Use the ActiveCaptain app to access, update and purchase maps and charts from the OneChartTM storefront on a mobile device anytime, and reference the ActiveCaptain community for marina and other points of interest details, access to QuickdrawTM Community data and more. ActiveCaptain also provides smart notifications2 directly to the plotter/combo, over-the-air software updates, off-vessel planning capabilities and so much more. For crystal-clear scanning of fish and structure, the ECHOMAP Plus offers built-in CHIRP traditional sonar and CHIRP ClearVüTM and SideVü scanning sonar. Instead of just sending one single frequency, CHIRP sends a continuous sweep of frequencies and interprets them individually upon their return, creating crisper fish arches with better target separation. 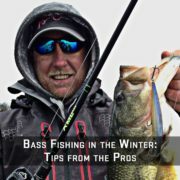 For anglers who want to see objects and structure below the boat, ClearVü provides a nearly photographic view with excellent resolution and target separation in both freshwater and saltwater. The ECHOMAP Plus “sv” models also add SideVü scanning for customers who want to see what’s located on both sides of the boat. All 7- and 9-inch Plus units provide support for all Garmin PanoptixTM all-seeing sonar transducers, so anglers can see real-time sonar imagery at video-like speed. Panoptix shows an image of fish swimming and moving toward or away from the boat – even while stationary – in real time and up to 100 feet away. A free software update planned for Q1 2018 will also enable the 7- and 9-inch Garmin ECHOMAP Plus units to share user and sonar data between devices. Available with preloaded cartography for coastal or fresh waters, the new Garmin ECHOMAP Plus units feature built-in BlueChart® g2 charts, U.S. or Canada LakeVüTM HD maps. U.S. LakeVü is an extensive database of more than 17,000 inland lakes, reservoirs and rivers that includes over 13,000 lakes with high-definition 1-foot contours. Canada LakeVü features more than 13,500 lakes, 4,800 of which have 1-foot contours. The new Garmin ECHOMAP Plus series will be available in Q4 2017, with suggested retail prices ranging from $199.99 to $1499.99. 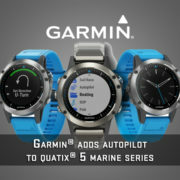 For more information, visit garmin.com/newmarine. 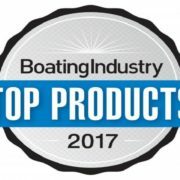 Garmin is the world’s leading marine electronics manufacturer3 and was recently named Manufacturer of the Year for the third consecutive year by the NMEA, an honor given to the most recognized marine electronics company for support of products in the field. 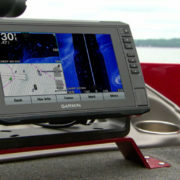 Garmin’s portfolio includes some of the industry’s most sophisticated chartplotters and touchscreen multifunction displays, sonar technology, high-definition radar, autopilots, high-resolution mapping, sailing instrumentation, and other products and services that are known for innovation, reliability, and ease-of-use. 1The 4-inch models do not include Wi-Fi. 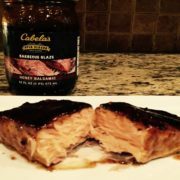 2When paired with a compatible mobile device. 3Based on 2016 reported sales. Garmin International Inc. is a subsidiary of Garmin Ltd. (Nasdaq: GRMN). Garmin Ltd. is incorporated in Switzerland, and its principal subsidiaries are located in the United States, Taiwan and the United Kingdom. 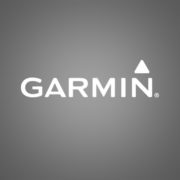 Garmin and BlueChart are registered trademarks and ECHOMAP, ActiveCaptain, OneChart, Quickdraw, ClearVü, Panoptix and LakeVü are trademarks of Garmin Ltd. or its subsidiaries.